Mindanao, the second largest island in the Philippines, has always been stereotyped as a dangerous place. Although some areas should be avoided, Mindanao has always been home to many beautiful vacation destinations. There are many places that are tourist-friendly for both local and foreign visitors. #1 - Davao City: Named as one of the Safest Cities in the World and included in the Top 20 Most Livable Cities in Asia, there is almost nothing to worry about when in Davao City. Even the taxi drivers here give back change up to the last centavo. Aside from being a highly urbanized city, it is also a very beautiful vacation destination surrounded by scenic white sand beaches, towering mountains, and rich wildlife. #2 - Surigao del Sur: Located at the eastern part of Mindanao, this province is relatively far from the ongoing crisis in Marawi. Furthermore, each of its municipalities has something to boast about such as the Tinuy-an Falls in Bislig, Enchanted River in Hinatuan, Britania Group of Islands in San Agustin, Blue Lagoon of Libtong in Cantilan, the ocean waterfall in Cortes, the ocean waves in Lanuza, and many more. 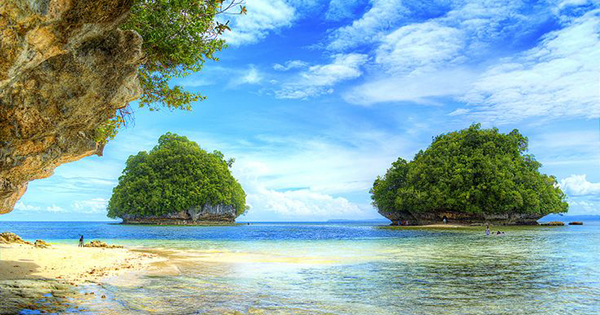 #3 - Dinagat Islands: Embark on a new adventure in this neophyte island province that boasts its exotic mountains, cream-like sand beaches similar to Boracay, and quiet surroundings. Whatever you may have heard about the Ecleo clan and their "cult" should not be worried about as it is proven to be a pure urban legend only. San Jose, the capital of the province, is the most recommended place to stay on the island. #4 - South Cotabato: Opposed to the common misconception about Cotabato, this province is actually hundreds of kilometers away from what seems to be dangerous Cotabato City and a peaceful abode to the T'boli, B'laan, and Ubo tribe. South Cotabato also takes pride in having one of the tallest ziplines in Southeast Asia which overlooks the breathtaking Lake Sebu and its seven waterfalls. Mountain trekking to Lake Holon is also a must. #5 - Camiguin: Do not be mislead by its size, this small island has more attractions than you will ever expect. It houses white sand beaches, several volcanoes, hot springs, cold springs, waterfalls, and many other sights. What's more, it is an ocean and a few more miles away from the chaotic part of Mindanao that it is even sometimes mistaken to be a part of Visayas. #6 - Mati City: A silent city in Davao Oriental, this place is shouting of adventure and fun. Its center of attraction is the Dahican Beach which is very ideal for skim boarding for both experts and beginners. The white sand of the beach is also a home to hundreds of turtles laying eggs every year. Worry not because its local government is assuring that their intensified security measures are always implemented. #7 - Siargao: Get lost with the waves in the Surfing Capital of the Philippines in Cloud 9, Siargao. Not a surfer? Tourists also enjoy island hopping across the stunning Naked Island, Daku Island, and Guyam Island as well as visiting the Sohoton Cove National Park and Hagukan Cave. Peace and order is also maintained in this island that is far from Marawi. #8 - Bukidnon: Right in the heart of Mindanao, this province with not so crowded streets is the Baguio of the south. With the cold breeze from the enticing mountains and the warmth of its lovely people, tourists fall in love with the place. Asia's first longest zipline can also be found in Dahilayan Adventure Park in Bukidnon. The safety of the public is one of the priorities in this province so there is nothing to worry about.